Thyroid eye disease is a condition in which eye sockets swell and bulge out due to auto immune disorder. This mostly occurs in patients of hyperthyroidism. Although TED is often confused with Grave’s disease, there is a thin line of difference between the two. Even though the symptoms are somewhat similar in both the conditions, it is important to understand that thyroid eye disease is caused by Grave’s disease which in turn is caused due to autoimmune dysfunction, in which the antibodies produced by the our body causes a condition called hyperthyroidism. 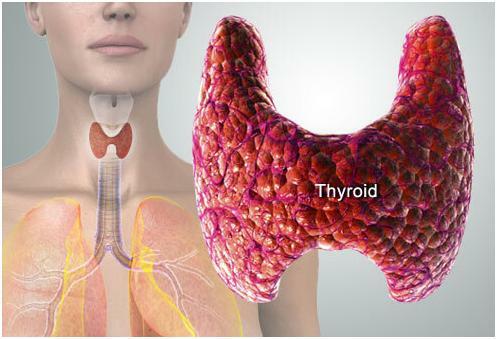 Hyperthyroidism is the disorder wherein the thyroid gland starts secreting the hormones in excess quantities than what is required by the body. In a way Graves’ disease is a direct consequence of auto immune disorder and a thyroid eye disease is an indirect consequence of auto immune disorder. It is not always necessary that a person suffering from a Grave’s disease will also suffer from thyroid eye disease. Out of four persons suffering from Grave’s disease, only one will have thyroid eye disease. In rest of the cases thyroid eye disease is caused by some other causes such as Hashimoto’s thyroiditis. One more thing about this condition is that not every person suffering from hyperthyroidism will get TED. However it can sometimes happen in people with normal levels of thyroid. For such people it is believed that it occurs due to some genetic defect, which means that such people carry genes that can cause thyroid related eye disease. Hence if you have any family member, like either of your parents who suffer from thyroid related diseases then you should be careful and take all precautions to prevent this disease. Precautions include modifying your diet to consume things which are rich in antioxidants and iodine.